Welcome to the Tanzania community of practice! My name is Jason and I’m a community manager here at Philanthropy University. Welcome @hatibuibra, @mnimoh, and @bedatarimo! Great to have you all in the Tanzania community of practice! Where in Tanzania do you all live? What sort of work do you all do? My name is Japhet Aloyce Kalegeya, am living in Nzega District, Tabora region. I am working with Christian Education and Development Organization (CEDO). CEDO is non governmental organization NGO, registered in 2010 with registration No oooo3928. The organization activity is focused in health service, agricultural, education, good governance, research, entrepreneurship. Our tagert groups are women, young people, children, elders and students. My name is Beda Tarimo (30) I'm living in Arusha, Tanzania, East Africa. I'm the previous learner of Philanthropy University, currently I'm the Founder and Chief Executive Officer at Unique Development for Future; the registered non profit organization solely deal with eradication of child marriages and adolescent pregnancy in Tanzania Mainland. I'm so glad to be part of Philanthropy University learners in this community, hope we will learn from each other. Thank you so much Jason, I'm glad to be the part of this community too! Hello Japhet, I'm glad to connect with you here. It's a great initiative, congratulation dear! My name is Beda Tarimo (30) I'm living Arusha, Tanzania, East Africa. I'm the previous learner of Philanthropy University, currently I'm the Founder and Chief Executive Officer at Unique Development for Future; the registered non profit organization solely deal with eradication of child marriages and adolescent pregnancy in Tanzania Mainland. Hi. Beda, thank you for your introduction. Yes, early marriages and unwanted pregnancies is great challenge faces adolescent girls in Tanzania. What is the rate of early marriages in your area for the last year? Which methods are use to combat with this problem?! Dear Kalegeya thank you for the great question! We are currently raising fund for our program named Ending Child Marriages Everywhere (ECME) in Manyara Region,Tanzania. 34% of girls are married before reaching the 18 years old in Manyara Region, according to Child Marriage Survey of Tanzania, REPOA 2017. Providing mentorship to in school and out of school teenager and youth about sexual reproductive information, consequences of adolescent pregnancy and child marriages, inspire them to figure out their life purpose, instruct them to formulate life plan and focusing to live their life to the fullest toward becoming the greatest version of themselves. Hello, i'm Barnabas from Dar es Salaam. i'm here to learn, network and use the acquired knowledge to help improve the lives of people around me. My name is Hassan, am living in Dar es Salaam, working with FHI360 USAID Tulonge Afya Project as Senior M&E/KM Officer. Looking forward to get new experiences from other people. I am Prisca Michael, a Program Manager at an organization called Bridge for change. We work to empower youth to be self-initiative takers and innovative. 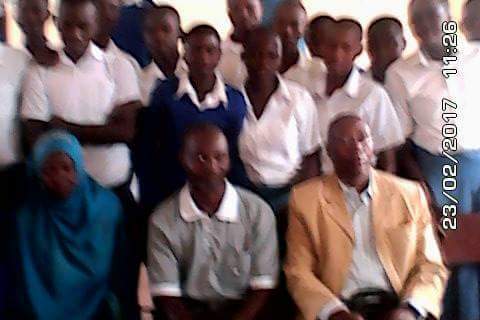 We are based in Dar es Salaam and work with youth in secondary schools and beyond. I am here to learn more about running an NGO effectively and connect. Welcome Beda! Great to have you here :) UDF sounds like an incredibly important organization given its mission. How did you come to found this organization? Welcome Jesca! So fantastic that you're embarking on such an important career :) What drew you to this work in the first place? Welcome Barnabas! Can you share some more about your background? Do you or have you worked for a nonprofit organization? Welcome Hassan! Wonderful to have so many people from Dar es Salaam here - yourself, @Jescakimosso , @barnabaskm , @2-6 , and I'm sure others! Maybe an in person meet-up is due? Can you share some more about what the Tulonge Afya Project is working on? Welcome Prisca! Bridge for Change sounds like a fantastic organization. What sort of programs do you and your organization use to empower youth in these ways? Hello am glad to meet you all here, my names are Olivaleah Uliki from Mwanza,working in an organization named Wadada Center currently am dealing with the project of eradicating teen pregnancies in schools. Welcome Olivaleah! Great to have you here. Teen pregnancies is such an important but also I imagine challenging mission to be focused on. What are the strategies that you and the Wadada Center employ to address this issue? Hi .. I trust your doing great. I'm Patrick Rugakingira currently relocated in Mwanza, I worked as Individual Consultancy affiliated with African Leadership Magazine and Young African Leadership Initiative (YALI) in matter concerned Demographic and sociology. I join this BOAT for knowledge sharing and professional challenging. I believe I press right planet. My name is Sufian Msonde, am living in Ilala, Dar es Salaam region. I am working with Ward executive office as a Volunteer is a governmental organization since 2017. We serve the community as a whole. I'm Janet Chapman from Tanzania Development Trust, which has been funding grassroots organisations in certain areas of rural Tanzania for 43 years, and also the founder of Crowd2Map which is mapping rural Tanzania into OpenStreetMap for community development and to help protect girls from Female Genital Mutilation. For any body waiting to start learning a program name Planning for Monitoring and Evaluation. Please let as know each the program is about to start. Tafadhari kama ni mmoja wapo nicheki ilikusudi tuyaweke sawa. im irene thomas from dar es salaam aged 24, im here to learn and get know skills on strategy an planning course.